St. Chux has their eyes on the prize this season and in an effort to get three quick games under their belt, they hosted their first Skate to Thrill invitational. A total of 15 games happened among 10 teams over two days. With teams ranked between #45 and #77 by WFTDA, the weekend was always going to have close games and a serious impact on the 2014 playoff picture. The average win margin was about 44 points, with half the bouts under a 30 point spread. St. Chux and Blue Ridge both swept all three of their bouts, while Paper Valley won none of theirs. Twin Cityâ€™s strong jammers showed that they might be under-ranked and Ft. Myers proved to be one to watch this season. When the new WFTDA rankings took over in February of 2013, the Dames were at #105 and had just lost speed skater Stella Italiana. Under the guidance of Tony Muse, they have become a well-rounded and defensively strong team, working their way towards the D2 playoffs they glimpsed as hosts last year. At Skate to Thrill they went 1-2, posting a 59 point victory over the North Star Supernovas, despite only beating them by five points a month and a half prior. They have many skaters who can block and jam, including recent No Coast transfer Hellcat Kitty, which helped them play a strong game against Fargo Moorhead. The Dames led them for the first quarter of the bout but fell behind with some blocker penalties. They were down 33 points going into the last jam but brought it to only an 18 point loss. Karried Away and Whackajawea were standouts on the defensive line, which helped keep their match up with Brewcity a low-scoring affair. It went back and forth, and was still a five point game with six minutes on the clock, but Brewcity ultimately took control and won with a 24 point margin. Despite having three regular skaters out on injury, the Dames had an impressive showing over the weekend. They may have lost two, but didnâ€™t go out easily and showed marked improvements over teams they played last year. Next, they take on Harbor City Roller Dames (#129) at home, followed by another match up with Brewcity (#64). North Star has stayed pretty consistent over the past few seasons, bouncing around the #70-#90 range. They had a rough start to the weekend, losing both their bouts on Saturday to teams ranked below them. After their 59 point loss to the Dames in the morning , they kept a pretty steady lead on Twin City in the first quarter of the bout, but started to struggle against their defense in the second half. Double threat Katarina Hit seemed to show up in whichever position needed her attention at the time, as did Scarlet Raven. They came back to tie it, but ultimately fell 162-122. Coming in fresh the next day, they took on Paper Valley in a very close, back and forth game. She.coli was the one to watch this time, and helped push their lead into a more comfortable distance. Things got rocky towards the end when Ida Kildher fouled out with the star, and gave Paper Valley nearly a full two minute power jam. North Star held on for a ten point victorious conclusion to their weekend. North Star hosts a hangover bout with Old Capitol City (#90) on the 27th, and then travels to Harbor City (#129) in June, as well as Midwest BrewHaHa. After a winning season last year, Fargo looks to be upping their game this year by playing teams above them and traveling to multi-game events. Against Twin City, they showed how aggressive they could be out the gate, working up a 31-9 lead in the first 10 minutes. After that, they capitalized on a few power jams for a near 50 point spread. Bolt Action used her jammer agility to fill more of a blocking role, but as their jammers struggled, Twin City started to make up the difference and finally exceeded them to to a 34 point win. Against Des Moines, they traded the lead multiple times and at the half, Fargo lead by ten points. The second half was riddled with jammer penalties on both sides but Grateful Redâ€™s point scoring was able to keep them at a comfortable distance. The Dames kept it close, but Fargo ended it with an 18 point lead. Despite being thirty ranks below last yearâ€™s D2 third place finishers, Fargo put up their toughest fight against Blue Ridge. Blue Ridge had worked up a 41 point lead by the half, but Fargo made them work hard for every point, as Seducci and Polly Punchkin pinballed their jammers. Fargo picked up momentum and grabbed the lead late in the game, but Blue Ridge retook it in the last jam and ran out the clock with a 9 point advantage. Next, Fargo takes on the Old Capitol City Rollers Girls (#90) at home and #68 Omaha Rollergirls (who have picked up No Coast’s Flash Gloria / Megan Harrington for this year) on the road. Going 2-2 at Division 2 playoffs in Kalamazoo last fall, Paper Valley has only dropped four spots in the rankings since then. They had a rough weekend at Skate to Thrill, losing all three of their bouts, although two were very close spreads. First they took on NEO, making a statement with a 27-7 lead in the first 15 minutes, but fell 14 points behind at the half, due to jammer penalties. They regained it briefly in the second half, but continued to be plagued by penalties on both their jammers and blockers. Blazing Britches and Swiss Miss brought their defense together and kept Paper Valley very much in contention into the final five minutes, until NEO ran out the clock with a 21 point victory. They played a second time on Saturday against a fresh St. Chux Derby Chix, and struggled to put up the points they needed to keep it close. They fell into many of St. Chuxâ€™s cutting traps on the way to losing 214-99. Last, they played an exciting bout against North Star, with both teams 0-2, so both were equally hungry to come out on top. Chop Stickyaâ€™s quick jamming helped them get lead and control the game, keeping it a 14 point game at the half. Despite falling into a 68 point deficit, they went on a 61-3 tear in the last ten minutes, but they couldnâ€™t overcome North Star and lost by a mere 10 points. Theyâ€™ll get another chance against North Star (#71) next month at home, and then theyâ€™ll see many of these teams again at Midwest BrewHaHa. Jumping 27 spots in the rankings between June and September last year, Twin City has been putting in hard work to be a D2 playoff competitor. With a slow start against Fargo, Twin City finally jumped onto the board with a 2-point apex jump. Houchebagâ€™s aggressive and nimble jamming contributed to a 29 point run which slashed their deficit to only 12 points by the half. The second half saw many low scoring, fast jams as each side fought tooth and nail. Terror Misu, Regina S.P.E.C.T.R.E. and Sasha Smashmouth helped kill power jams and make life hard for the Fargo jammers, and lead their team to a 34 point victory. The first half of their bout against North Star was very close, but Anthrobrawlogist got them a comfy lead at the half with her 24 point jam. In the second half, their defense really dug in and kept control of the game as they picked up their second win of the weekend. The next day they played a hard game against Brewcity, as their jammers took a lot of hard hits. It wore on their endurance and they hit half time in a 54 point hole. This bout, Regina S.P.E.C.T.R.E. was the jammer of note, and helped keep Twin City in the game. Ultimately, Brewcity had more control over the momentum and took the win, which gave them their only loss of the weekend. Next, Twin City will take a visit to Chicago to take on the Outfit (#59), and then they will see another busy weekend at Spring Roll in May. On the track, NEO has shown that often its quality of the skaters that make up a roster, not the depth of your bench, that can decide outcomes on the track. Last year they were the underdog of BrewHaHa, playing a very small roster and playing their hearts out to a victory over Paper Valley and close loss to Brewcity. They jumped from #70 to #51 in a matter of months to make D2 playoffs. At Skate to Thrill they played all three of their bouts with only 11 skaters, most of which could switch between jamming or blocking. Meeting up with Paper Valley again, they trailed for most of the first half until they overtook them by 14 points at the interval. Ivanna Destroya towered over most people on the track, but knew how to use her height by effectively holding Paper Valley jammers and being a strong leader in the pack. The last few minutes were very close, but NEO controlled it by getting lead jammer and finished it with a 21 point win. Their two losses came against the only two teams who swept the weekend, Blue Ridge and St. Chux. Against Blue Ridge they held a very solid first half, but began to tire in the second. St. Chux held them scoreless for the first ten minutes but they quickly made up the point gap. They stumbled at the end of the half and fell 40 points, but kept a very competitive second half. Twin Pistol and Bad Mooney Rising were workhorse jammers, but NEO began losing skaters to foul outs and they just couldnâ€™t overcome their deficit. NEO will host DC Rollergirls (#49) at home next month, and then travel back to Milwaukee for another run at BrewHaHa. Becoming a WFTDA member in June of last year, Ft. Myers entered the rankings five months later at #42. They have since then dropped to #54, but have played almost exclusively Florida teams since their origin in 2008. Skate to Thrill was a weekend for them to really prove themselves in new territory, and they did not disappoint. Their first game was against Brewcity, and it didnâ€™t deviate from more than a ten point difference the whole first half. Ft. Myers played a solid defensive game and had a four deep jammer rotation led by Peaches N Carnage. They even threw in a tricky star pass strategy that kept Brew on their toes. Ft. Myers pushed to over a 30-point lead in the second half, but with under a minute left it was a 12 point game. They held on strong and finished off Brewcity for a 23 point victory. Their remaining two games were losses, but they were nothing to complain about. They started out strong against Blue Ridge, leading for the first 15 minutes, but then fell 20 points behind. After a nice penalty kill, courtesy of some partner work by Anya Dixon and Krystal Deth, they went on a 14 point power jam of their own and went into the half only 6 points behind. Ft Myers never gave up, but ultimately fell to Blue Ridge by 65 points. Their third bout was the last one of the weekend, against St. Chux, and it was definitely one to stick around for- the first half saw at least five lead changes. (and two power outages.) Some power jams hurt Ft. Myers, but Phelony Phatbottom put in some hard jamming work to make sure they didnâ€™t fall too far behind. It was a 20-point game at the half, with St. Chux on top. The rest of the game was full of hard, soul crushing defense and Ft. Myers never gave them a chance to rest. Down by 19 points in the last jam, they got lead but ultimately lost by 8 points, making it the closest bout of the weekend. Next they will be heading to another weekend of roller derby at Beach Brawl, hosted by Gold Coast in Ft. Lauderdale. Last year at #44, Brewcity qualified for Division 2 playoffs and came out #62 by the end of the year. Now at #64, itâ€™s evident they want to get back up 20 spots or more with all of the derby they have scheduled this spring. They finished 3rd at the Clover Cup in March, beating Omaha (#68), Duke City (#67) and Dallas (#65), while only losing to the Oklahoma Victory Dolls (#37). They went 2-1 at Skate to Thrill, and at the end of May they will hold their annual Midwest BrewHaHa– all on top of their other scheduled games. Brewcity played a defensively intimidating game, as well as adding in effective dosages of offense all weekend. Scooter was an agile jammer who managed to jump the straight away for four points which caused a lead change over Ft. Myers. Penalties got them in trouble though, which ultimately gave them their only loss of the weekend. They woke up bright and early Sunday to take on Des Moines, and gained a 20-point lead in the first 12 minutes. The Other White Meat and Freight Train (an eight-year BCB veteran, not the Freight Train of Houston) punished the Dames jammers while Latina Heat worked on helping their own. Penalties started to hurt them again, but they were able to control the pace of the game, and took their first win by 24 points. Against Twin City they took the lead early, lost it during a few power jams, and then regained it with a 19 point power jam by Storminâ€™ DaCastle. Towards the end of the half, they completely shut down a Twin City jammer, and Scooter went for a full two minutes to score 20 points and put them at a 54 point lead at the half. This put them in a good position for the rest of the game, and they earned their second win by a 70 point margin. Next, they will travel to the Chicago Outfit (#59) and Omaha (#68), followed by hosting Midwest BrewHaHa. Last season, Blue Ridge worked their way up to #48 to qualify for D2 Playoffs, where they ultimately finished tournament season in 3rd place with a win in Milwauklee. Coming to Skate to Thrill as the highest ranked team, they showed a slightly altered line up, but a team just as strong and competitive as last year, if not more so. Blue Ridge had the luxury of playing the last bout of the day on Saturday and took on NEO. She Wrex played a strong role as jammer, with the addition of Beer Wench and Little Mermadness, and helped kick Blue Ridge into a decent lead. They stumbled a bit in the second half with some penalties, but their defense held strong and they took back the control of the game, and won by 83 points. Their second bout was against Ft. Myers and they showed off their strong blocking led by Sugar Magmaulya and Dixie Kicks, and proved that defense can be your teamâ€™s best offense. They stayed cool and calm during a tight scoring game, which helped them pick it back up in the second half, collecting another win. Lastly, they played Fargo Moorhead, who gave them a run for their money. Skelley-Tor pushed them into a cozier lead by transitioning on one foot to complete a 15-point power jam. At the half, they had a 41-point lead, but they were plagued by jammer penalties in the second half, which left the lead up for grabs. By the end, Blue Ridge was the one to grab it and hold on, running out the clock with a nine point advantage. Next, Blue Ridge will be taking on another weekend of derby at the Beach Brawl in Florida. The host league has shown how badly they want to make this yearâ€™s playoffs, jumping 10 spots in the last month alone. Not only did St. Chux craft a competitive weekend of derby, they swept all three of their games to add to their undefeated record thus far. St. Chuxâ€™s soul-crushing defense is what kicked off their game against Paper Valley, working up a 66-point lead in the first 12 minutes. Despite losing Whip Lâ€™Ash, one of their most effective blockers, early on in the game to a groin injury, they shut down Paper Valley jammers and forced them into many cutting traps. Jammer GI Jaime put up big points, including an opening 20 point power jam. They sealed their first game with the largest point spread of the weekend at 115 points. NEO managed to hold them scoreless for the first few jams, but then Flash put them in the lead with a 16 point jam. Even during opposing power jams, St. Chux stayed slow and steady, often leading the other jammer into a cut, and turning the tables. By the half they worked up a 40 point lead, which carried them through the second half to a solid victory. Their last game proved they indeed were skating to thrill, with an intense match up against Ft. Myers. Stabby McCutcha was constantly working over their jammers while GI Jaime showed off her endurance with a 27 point jam. Jedi Knight-n-Gale also worked hard in the star, but at the half it was still anybodyâ€™s game at 58-78. St. Chux pressed on with their effective defense and eventually tallied their third win over the weekend by a slim 8 points. 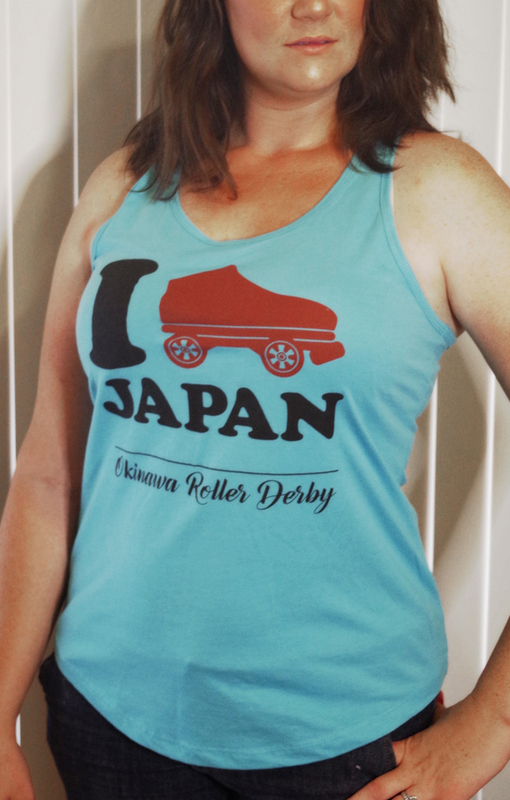 Next theyâ€™ll take on the rising Team United at home, and then hit the road for more derby at Midwest BrewHaHa. Orange Team Wins Against Grande Prairie in Final Bout of the Season!